This month the Rotary Club of Milton became a part of the twitterverse, joining the ever-popular social media site Twitter with its very own web page. 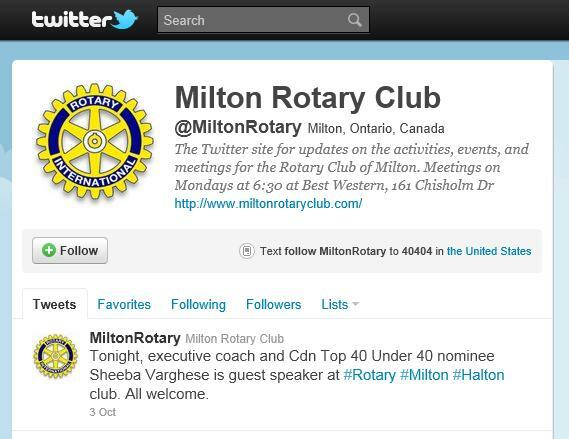 Follow us by going to www.twitter.com/MiltonRotary for all of the latest news, updates and events involving our club. Not a Twitter user? No problem. Go to www.twitter.com and click "Sign Up". 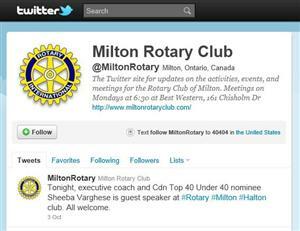 Follow the prompts, create an account and then search for MiltonRotary.